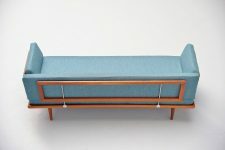 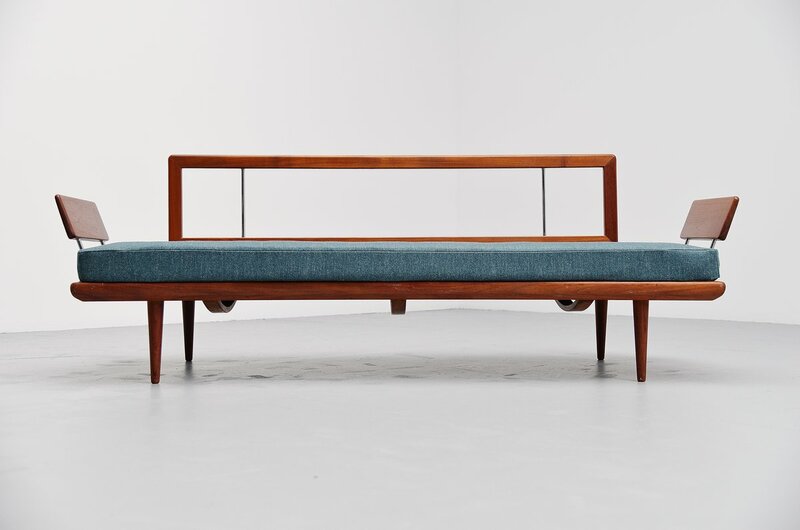 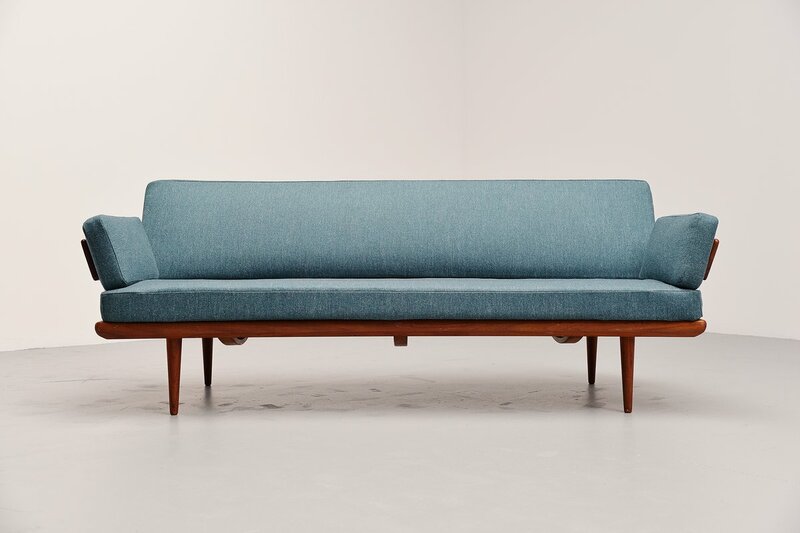 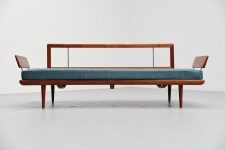 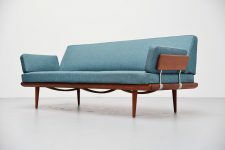 Fantastic daybed sofa designed by Peter Hvidt and Orla Molgaard Nielsen for France & Son, Danmerk 1957. 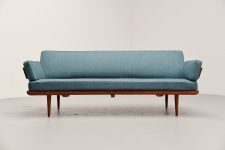 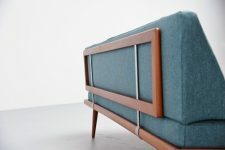 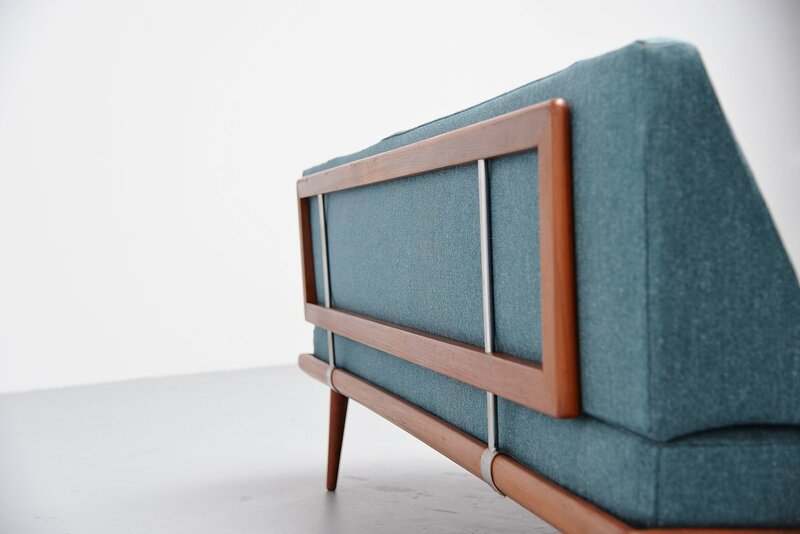 This sofa has a solid teak base supported by metal arms, very nicely designed. 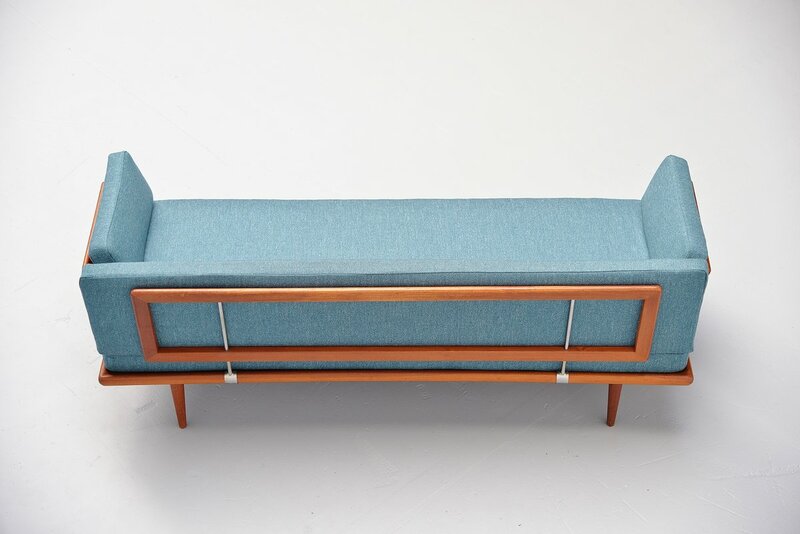 This has nice old blue upholstery that was very close to the original upholstery, excellent comfort in seating. 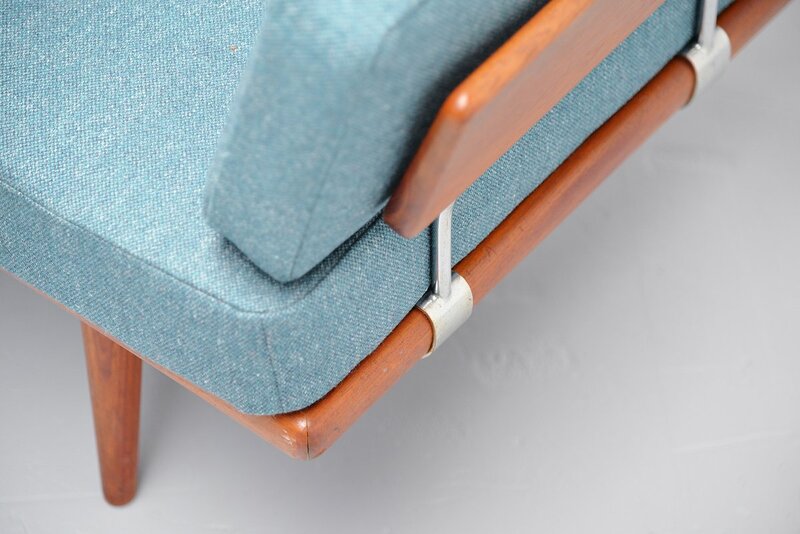 Marked with the France & Son tag under the mattress.